Phyllis Krystal has written a beautiful book about the Indian teacher Sai Baba and her personal experiences with him. 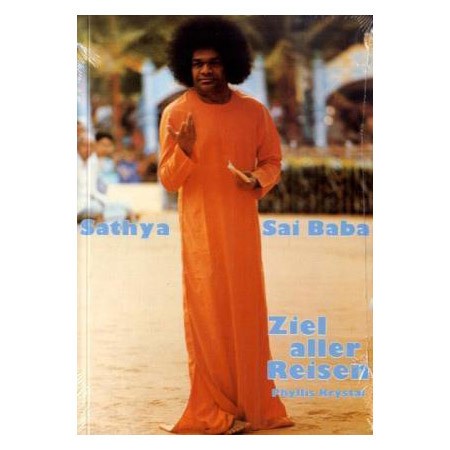 I introduce this book to you, because I often get questions about how I experience Sai Baba. Mrs. Krystal has written a wonderful and practical piece, which is easy to understand and comes from the heart. The experience of our own Self: the Ultimate Experience. How can we be again at one with our higher consciousness, our higher self? This is the aspect of us that is always at peace, loves unconditionally and wants the best for everyone and doesn’t judge. Our higher self sees clearly and innately knows our best response at any given situation. This is easier said than done: How do we connect with our higher consciousness? How are we in harmony with ourselves and others in specific everyday situations? What is the role of Sai Baba in the event we want his guidance and wisdom? Phyllis Krystal describes her experiences with Sai Baba as a Zen master, who monitors our progress and our inner process carefully.